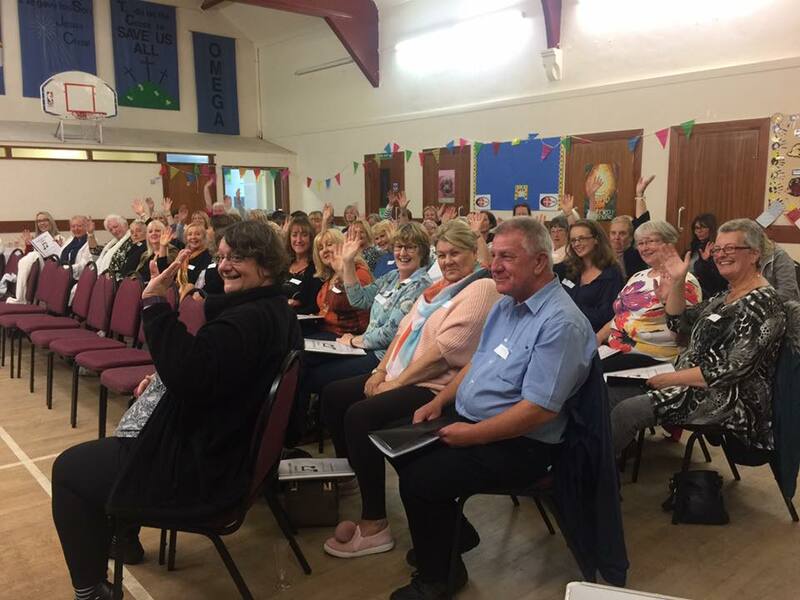 Fylde Coast Tuneless Choir launched into song on 8th September 2017. We meet every other Friday evening from 7.30pm until 9.30pm. Please contact us for dates! Sessions are held at Thornton-Cleveleys Methodist Church Hall, 60 Victoria Road E, Thornton-Cleveleys, FY5 5HQ. There is free parking at the church. The choir has been set up by tuneful couple, Marilyn and Steve Marshall, who love singing themselves and feel everyone should have that opportunity. Newcomers are welcome to come along any time, paying £10 for their first session which includes registration. After your first session, the regular price is £7 for ‘pay as you go’ or you can pay in advance for a term for the equivalent of £5 per session. Contact us by emailing fyldecoast@tunelesschoir.com or calling Marilyn on 07904 663810. Or sign up for our mailing list and we’ll keep you in touch with what is happening!